Hurricane Irma made landfall in the Florida Keys on Sept. 10, 2017. A year later, remnants of the storm can be found in scrubbed landscapes across South Florida. Listen to the Sept. 7, 2018 episode of The Florida Roundup here. The storm effectively closed the Keys for a week and scattered lives in its wake. Residents who followed the warnings and evacuated weren’t allowed back in for days. The rest of South Florida was mostly spared from the brunt of Irma’s winds, rain and storm surge. Yet the storm revealed shortcomings in how communities prepare for hurricane season. 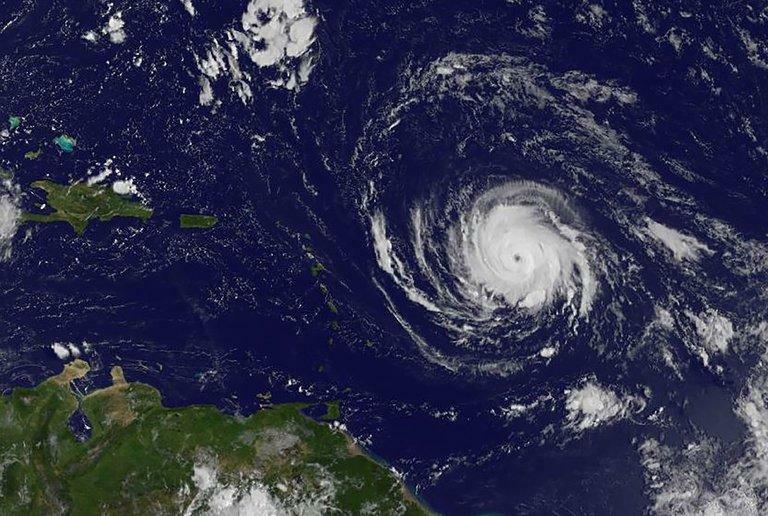 WLRN’s Tom Hudson considers the region’s rebuilding efforts – and how reminders of Irma are a weather forecast away. He’s joined by WLRN reporters – Nancy Klingener, Kate Stein and Caitie Switalski – along with Valencia Gunder, a climate activist based in Miami-Dade County. WLRN: Valencia, you’ve talked about wanting to change the culture of preparing for storms. What culture are you trying to change after Hurricane Irma? GUNDER: Climate and hurricane preparedness is not usually most folks’ first priority when they're thinking about preparing their homes. And hurricane season comes every year. So I really want to push communities to really start making this a part of their everyday lives – to be prepared for hurricane season. We took the data from last year—all the communities we went into last year—and we went back through and we did community meetings. We decided to create our own Florida disaster resiliency plan. We identified resources or the lack thereof in each community and decided to create community hubs. So this year, when we’re preparing, we know what communities need. We know where we can take supplies or how we can get it out even faster. Kate Stein, several of us can remember and I know you can as well, those shelters. You spent Hurricane Irma in a shelter. What were your experiences? STEIN: Last year, during Hurricane Irma, I was in a shelter at Miami Edison Senior High School, which is between Liberty City and Little Haiti. And I think that what I saw there was a reflection of some of what Valencia has worked on in the past year, which is that in low-income communities or communities of color sometimes the resources aren't there. And especially for people who are kind of already vulnerable because of their economic situation. It can be hard to stock up in advance on food. Or if you don't have a car, how are you going to go and get to a shelter? One of the things that I saw in my reporting was that for people who don't have the means to have three days worth of food or drive themselves to a shelter, the backup really wasn't there from Miami-Dade County. I was just going to ask you Valencia—the effort that you've had on community organizing here is clearly in response to where you saw a deficit, both the deficit culturally, as you mentioned in terms of the community awareness. But is there also a deficit in terms of the institutional network in the communities that you're addressing? GUNDER: Our institutions—their disaster response plans are not necessarily equitable all the time. We also know that climate is a threat multiplier. So for communities that face social ills, those things multiply in the face of a storm. The longer we don't have lights,the higher the crime gets. The longer we don't have electricity we can't use the food stamps because it's electronic now. Now we don't have access to food. We already didn't have access because it was the food desert. Or even if you make the buses free, the buses barely run in our community on a regular day. It was just those type of things that we were seeing were not inside of the disaster plans of our county. STEIN: Valencia, one of the things you did last year after Hurricane Irma was organize basically a statewide cookout, where you got a bunch of volunteers and people to bring their grills and start cooking for people who didn't have food after the storm. Is that sort of response something that you have also decided to include in the hurricane preparation? GUNDER: Most definitely. It's called the Community Emergency Operations Center. Last year, 48 hours before the storm, I identified a warehouse space and started a stockpile [of food]. And right after the storm within like 12 to 14 hours, we were out in communities and we were doing proper feeding operations. And this year, we had the warehouse opened. We just had the grand opening for the warehouse. STEIN: One thing that's really interesting is that Miami-Dade County is starting to see the efforts of Valencia and the people that she works with as part of its hurricane response plan. You know Jim Murley, the Miami-Dade resilience officer, and Jane Gilbert, the city of Miami resilience officer, were both at the opening this past weekend of the community emergency operation center. The county is looking for opportunities to bridge some of the gaps that happened last year during Irma.